If you’re the sort of person who knows about people like Emmanuel Mudiay in the first place, the arc of his story is a familiar one. High school basketball player commits to play college basketball for a university, there’s buzz all year, but as college approaches, there are lingering eligibility questions. Then, one day, he announces he’s skipping college altogether to go prepare for the NBA by playing pro basketball abroad. Brandon Jennings lived this exact script in 2008. First he committed to USC, then switched to Arizona. In the summer before his freshman year, eligibility questions forced him to back out of college entirely. He signed a $1.65 million deal in Italy, added a $2 million deal with Under Armour, and became the first prep star in the one-and-done era to choose a year in Europe. His struggles in Italy were later documented by the New York Times. Jeremy Tyler is a forward who followed in Jennings’s footsteps a year later. Tyler committed to play at Louisville, then changed his mind, skipping his senior year of high school to sign a contract in Israel. His struggles in Israel — clashes with coaches, questions about work ethic, general misery — were later documented by the New York Times. Now there’s Mudiay. Early last week, he announced he would skip a year playing for Larry Brown at SMU to pursue a pro basketball career overseas. Yesterday, he agreed to a $1.2 million contract to play pro basketball for Guangdong of the Chinese Basketball Association. He’s a point guard from Dallas and Chad Ford’s second-best prospect for next June’s NBA draft, making him the best player to ever make a move like this. Given the stakes, all the people who want the NCAA to burn to the ground will be rooting like crazy for Mudiay to succeed. He would be giving other high school stars the blueprint to skip college basketball in the future. On the other side, there will be plenty of college hoops purists who point to Jennings and Tyler, and wait for a New York Times article on Mudiay in nine months. This is the debate that’ll follow Mudiay for the next year or so, and it feels more relevant than it did in 2008. As Rob Dauster points out at NBC Sports, the NBA’s currently pushing to make the age requirement 20, and in 2016 the NCAA will have harsher guidelines for freshmen to qualify academically. If skipping college to make money overseas doesn’t quite make sense now, it might look a lot more attractive in two years. It’s not like today’s players grow up with any romantic illusions about what college basketball represents. Mudiay was born in 1996. That (a) makes me feel like the oldest person on earth, and (b) means that by the time he was 12 years old, it was 2008, and the one-and-done era was in full effect. The only version of college basketball that today’s high schoolers know is the one where all the greatest players leave after six months on a college campus. Likewise, AAU basketball turns basketball stars into commodities by the time they’re sophomores in high school. There’s big money invested in AAU teams, and fierce recruiting battles even among high schools. Rankings of 17-year-old players bear a shocking resemblance to NBA draft boards two years later. It all becomes a business earlier than ever. If skipping college becomes the best business decision for superstar high school players, it won’t take long for that to become a trend. The best way to understand Mudiay isn’t through the prism of Jennings or Tyler. We should be thinking of John Wall. Wall attended three high schools before finishing his career and playing his final two years at Word of God Academy in Raleigh. Mudiay attended two high schools and played his final two years at Prime Prep, a small charter school cofounded by Deion Sanders that’s now facing oversight questions from the Texas State Board of Education. The same way Baylor hired one of Wall’s AAU coaches (Dwon Clifton) to join the coaching staff, SMU offered a scholarship to Mudiay’s lightly recruited older brother from junior college. In 2009, there were eligibility questions surrounding Wall that scared off schools like North Carolina. 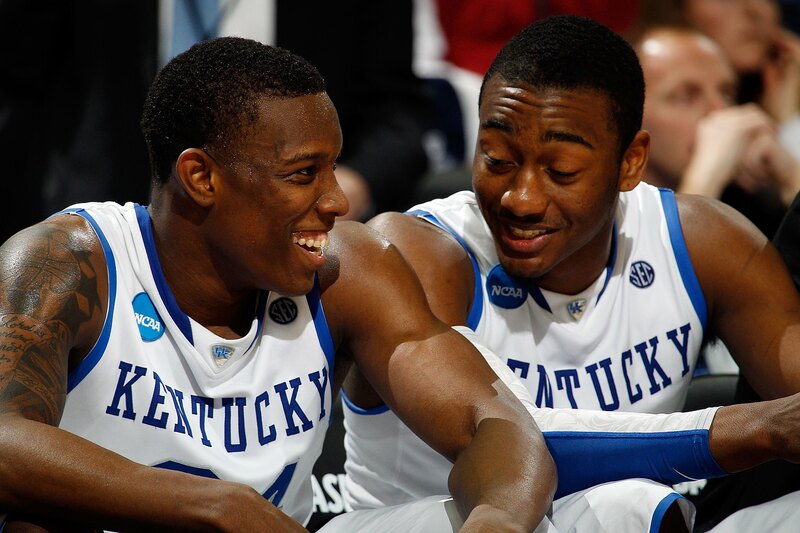 Had Wall shocked everyone and gone to Baylor over schools like Duke and Kentucky, the NCAA may have looked harder at Wall’s relationship with the Cliftons. Instead he went to Kentucky, survived an NCAA investigation that resulted in a two-game suspension, and turned into an All-American. In 2014, Mudiay did shock everyone when he chose SMU over schools like Duke and Kentucky, and … the impending NCAA scrutiny pushed him to China. This is only half-true. As CBS Sports first reported, the NCAA probably wouldn’t have counted Mudiay’s coursework from his last two years at Prime Prep, making it almost impossible to qualify academically. Then you have to factor in the possibility of an investigation into Under Armour’s role in Prime Prep, and whether anyone around Mudiay received improper benefits along the way. Plus, it’s Brown and SMU — one of the most infamous rule-breakers of the past 30 years at the college program with the most infamous cheating scandal in history. For 10 reasons, it’s a safe bet the NCAA would have made life difficult for Mudiay. That’s the kind of people Mudiay would’ve been dealing with if he had stayed in Dallas. Of course it was smart to go to China. The stupidity only comes into focus when you look at the bigger picture. Mudiay was born in Kinshasa, Zaire, now called the Democratic Republic of Congo. His 6-foot-10, 300-pound father died when Mudiay was still a toddler, leaving behind three kids and their mother in a country that was in the middle of a civil war. When his mother immigrated to the U.S. she had to leave her three sons behind for a year, and they lived in Zambia before eventually rejoining their mother. If his family trusted the wrong high school or accepted benefits along the way, it shouldn’t be a reason to force them halfway around the world. 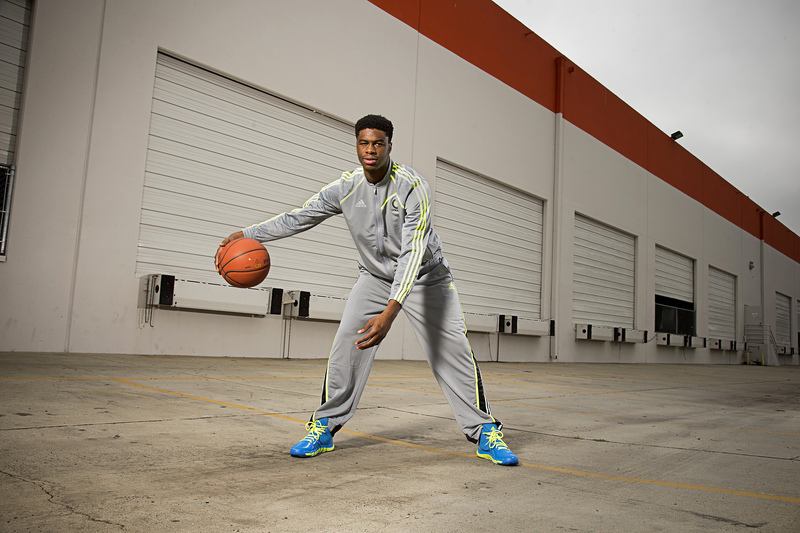 We shouldn’t be making it harder for players like Mudiay to play college basketball. The NCAA is the easiest target in sports right now, so I’m not here to beat a dead horse, but forget paying players. This is even simpler than that. Is there anyone involved with college sports that benefits from making players like Mudiay ineligible? Schools? Coaches? Classrooms? Conferences? Basketball teams? Definitely not the players. No matter what college sports anarchists dream up about overseas stop-overs or a future version of the D-League that fields high schoolers every year, college really is the best place to develop. Just think back to Wall. He was a player who might have had his career derailed by NCAA investigators, but once he got to Kentucky, he had a 3.5 GPA, became the biggest star in college hoops, and was eventually the no. 1 pick in the draft. He went back to take classes during the NBA lockout, he goes back every offseason, and he talks SEC trash with Chandler Parsons all summer. He’ll be royalty in Lexington forever. Today’s players may not grow up with the same version of college basketball we did, but if any high school superstar ever needs a reminder of what college can be today, Wall is the best example. Mudiay was never going to get the chance to follow Wall’s lead, and that says a lot more about the problems with the NCAA than Mudiay. It’s not like his story is unique. A poor family trusts a big AAU program and sends their star basketball player to a basketball factory high school — this is how basketball works for most of the best players in America, whether it’s Wall, Muhammad, Eric Bledsoe, Nerlens Noel, Andrew Wiggins, or dozens of other college basketball stars from the past five years. There’s money everywhere, players bounce from one high school to another, and every year there’s a new future NBA star in the NCAA’s crosshairs. Maybe Sanders’s charter school was an extreme example of one of these basketball factories. “Prime Prep” definitely sounds like the most shameless sports factory possible. (Unless you count “The Deion Sanders charter school”). I just don’t understand why anyone could possibly care one way or the other. If SMU thinks Mudiay can do the work, it shouldn’t be the NCAA’s responsibility to go back and police his high school. That just compounds the problems by pushing kids away from an education. High school basketball isn’t going to get any less corrupt as we go — there will only be more money, more scrutiny, more pressure on kids to maximize their potential — so it’s on the NCAA to either adapt or keep looking at this in the most myopic way possible. That’s the funny part about the Mudiay news this week. Once anyone wonders about high school stars going overseas, so many people stand up to defend what college basketball does for players and swear this is the wrong choice. But didn’t college basketball just make the choice for him? This article has been updated to remove an erroneous reference to John Wall’s final high school being scrutinized by the North Carolina Department of Public Instruction.